While the rest of the United States of America was watching the Red Carpet festivities for the Oscars, my family was watching Dumb and Dumber. No apologies. There is nothing better than sitting around and giggling about toilet jokes with your 45 year old husband and 8 year old son. Even my two teenagers thought Dumb and Dumber was a better use of time than doing homework. If you’ve never seen the movie, let me just say the title really does explain it all. If you think you’re going to get high brow humor, you’re wrong. I thought for a moment about whether running a clip from Dumb and Dumber would ruin all future credibility and then I decided I didn’t really care, because it is AWESOME. Anyone who comes to hear me speak, be prepared. You never know when I might pull it out. Anywho, I’m not spending this time writing to tell you about my family’s taste in movies. I’m writing to give you (and me) a challenge for this week. Every time we are shot down this week, every time someone annoys us or begins to push our buttons, every time a situation feels overwhelming, let’s put on our Lloyd Christmas goggles. Take a moment for an out of body experience and see if there is possibly another way to look at the situation. If you were a completely different person with a completely different view of the world, would there be a more prominent silver lining? I think the answer is usually yes. Health problems are less problematic when we remember we have health care. Financial burdens are less burdensome when we remember others live with dirt floors. The mountain of chores on our to-do list feels more like a mole hill when we remember there are people willing to help. It’s exciting because the more we force our brain to ferret out the good in every situation, the faster and more willing our brain is to automatically go there in the future. 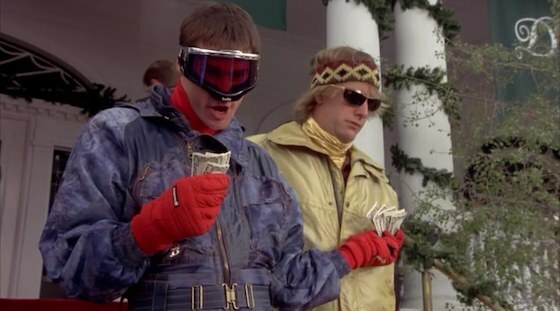 The reverse is also true, but I’m not thinking about that right now because I’ve got my Lloyd Christmas goggles on. How about you?